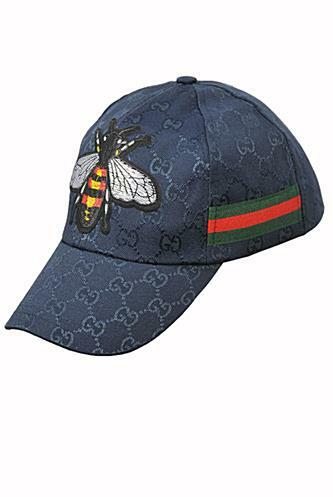 A classic baseball cap shape in GG Supreme canvas featuring the bee, an archival code first introduced in Gucci ready-to-wear in the 1970s.. Navy blue/ebony GG Supreme canvas with bee embroidery, a material with low environmental impact. Adjustable hook-and-loop closure. Made in Italy of 100% cotton, in navy blue color.